Robert Lee Roberts, went to be with the Lord on June 7, 2018. Bobby was born in 1940 to Walter and Agnes Mae Roberts. Left to treasure Bobby’s memories are his devoted wife of 58 years, Elma Lee Roberts, children Molly Harris (Sammy), Albert Roberts (Sandra), Jerry Roberts (Missy) and Kim English (Ricky), grandchildren Josh Morris (Maida), Audrey Kah (Chris), Taylor Howell (Kathan), Jenny Roberts (Chris), Dustin Roberts (Taylor) and Ashton English (Shane), and great-grandchildren Charley Mae, Parker, Kathan (Jr), Serenity, Hasten and Brayden. Bobby is also survived by his brother Lester Roberts, sister Gladys Cox and many nieces, nephews, and extended family. Bobby owned his own plumbing business, RL Plumbing & Heating for over 30 years and passed the trade to his two sons. Bobby was blessed with a wonderful family that he greatly loved. He loved family gatherings especially at Christmas, gatherings for special occasions and cookouts and reunions with family and extended family. He loved spending Saturday afternoons watching WWE wrestling. The family wishes to thank Berkshire Nursing Home for the special care for Bobby. Visitation is scheduled for Sunday, June 10, 2018 from 2 to 4pm and 6 to 8pm at Lotz Funeral Home in Vinton. A celebration of Bobby’s life will be held on Monday, June 11, 2018 at 11 am at Community Advent Christian Church with a graveside service following. 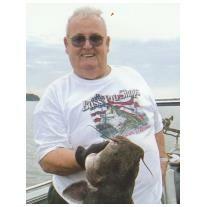 Online condolences can be made at www.lotzfuneralhomevinton.com.